Morning makeup lovers, and of course anyone else who has found their way to my blog! I have started something new on my blog, which are these weekly inspiration and encouragement posts. Simply because, life is just not makeup, hair and fashion although I know most of us girls would love it to be! My post today is inspired by some good news my husband and I received yesterday. We were just chilling at home when we got a phone call from someone on something we had applied for a year ago which with much frustration, fighting and pushing we got a positive answer. I am afraid I can't share 'the' news on my blog, but it is something very big to us and life changing. Now 'Patience' is one of the fruits of the Spirit according to Galatians 5:22. 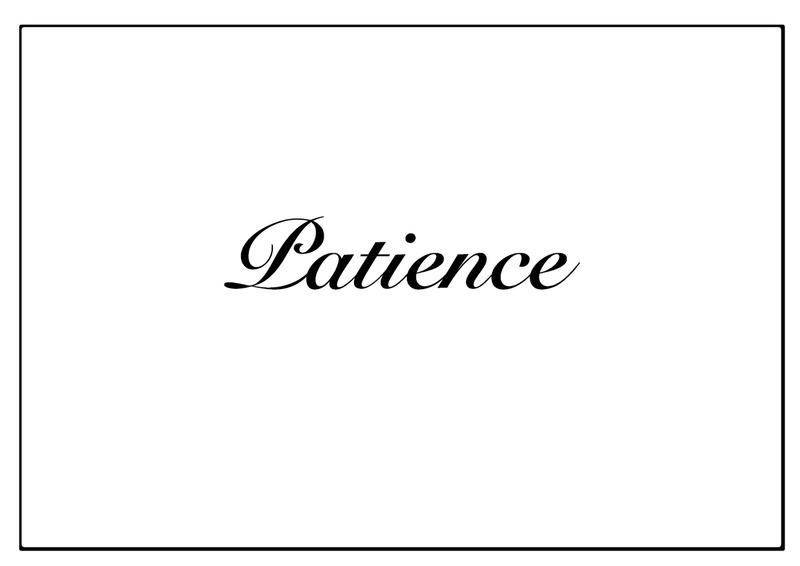 I have noticed so much about this thing we call patience- I am certain that patience always produces the best results. When we rush and move too quickly we get what we asked for- a half done, incomplete result. When we wait with meekness and a humble heart it is an act of patience and before you know it the best result and even a bonus or interest is added unto it! My opening scripture says so many things on the subject of patience. First it says 'rejoice'. So how do you rejoice in this annoying, frustrating 'thing' I have been waiting for? Well the answer to that is, how about you look at the bigger picture? You need to look at what you are going to get out of this big thing you have been waiting for. Rejoice because IT IS well. We often look into what is happening presently and forget what we want it to be. That should be your joy, the end result- dreaming and imagining and knowing what you are waiting for is yours and wether it is coming today, tomorrow or in 10 years, it is yours and no one can take it away from you. For the past year my husband faced this tribulation, I cannot even begin to explain the challenges we faced even up until very recent where we went through a major devastating incident, we continued to push on with prayer, but we were always excited that when we do receive our answer, we are going to do this and we are going to do that! We made plans and preparations for this big 'thing' we had been waiting for. We also never ceased praying. Whilst your waiting patiently, don't just sit there, you need to understand whatever you want in this world, you need to call it fourth through prayer and not just any prayer, prayer according to the Word of God. What does the Word say concerning this situation? A tip on how to endure patience is by keeping busy! Occupy yourself! Get your mind of the thing you have been waiting for. It will keep you focused on other important things and before you know it your answer comes. If you are waiting on that life long partner, husband or wife: don't settle for anyone because that's what is accessible, believe me your gut instinct would tell you who your husband and wife! (I will talk about this particular subject in a video or future blog post). But keep busy, focus on your career, go on holiday with or even without friends. Do you! Or if you are waiting on your dream job, get a job that at least pays the bills and feeds you, something to endure for a short season, whilst doing that apply for the dream job, practice interview techniques, research, get involved in a favorite hobby of yours more, whilst praying and before you know it your dream job comes! I have just discovered your blog. I love your work! Thank you for using this site to bless people. Great message.